Architecture and Interiors. The Desire for Style. Photo Johannes Schwartz. Tickets available at Gemeentemuseum Den Haag. By exploring four themes – colour, space, transparency and technical innovation – the exhibition will trace the roots of De Stijl right back into the 19th century. It will show how much De Stijl artists and designers owed to past generations: they appropriated existing techniques and re-interpreted concepts, themes and ideas advanced by previous engineers and craftsmen. 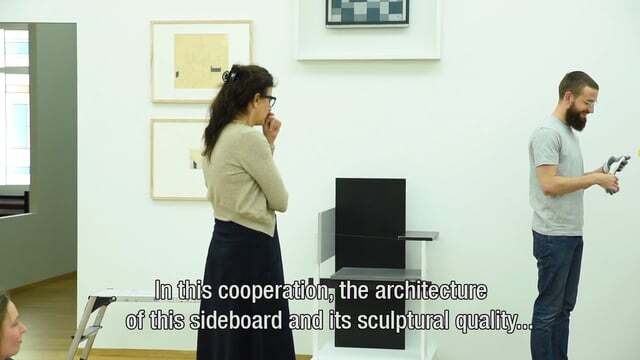 As the same time, the exhibition will also reveal differences: unlike their predecessors and contemporaries, who tended to look for functional solutions to problems, the members of De Stijl regarded art as the solution in itself. The exhibition will show that the new world that the De Stijl designers were trying to create did not necessarily come out of the blue. Their designs were forward-looking, deliberately unconventional and offbeat, but they were also rooted in the past. For example, advances in technology and new materials had allowed facades and structures to be opened up and shop frontages with uninterrupted expanses of glass to be constructed ever since the late 19th century. Furniture designer and architect Gerrit Rietveld (1888-1964) used simple timbers and plywood to create his formally innovative structures. Oud rearranged the functional features of building frontages (lintels, windows and doors) to create uncluttered architectural compositions resembling abstract paintings. 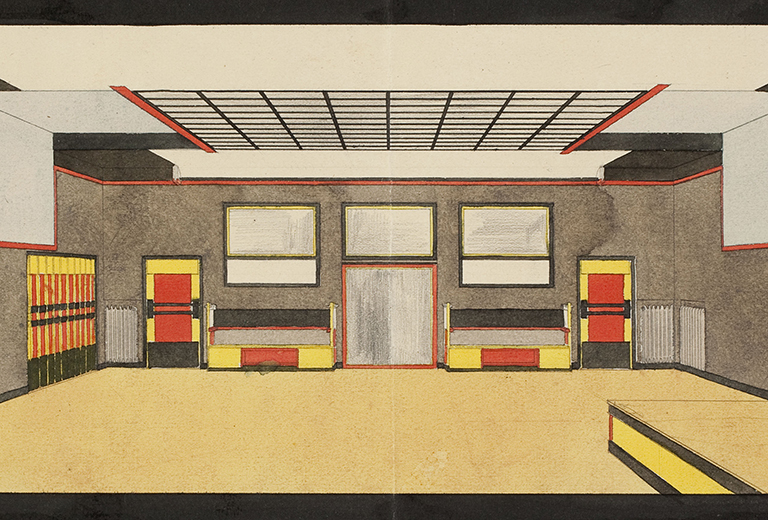 And the clean lines and ‘machine aesthetic’ (to use Van Doesburg’s term) of De Stijl architecture were already apparent in some sanatorium and hospital interiors. The Gemeentemuseum and Het Nieuwe Instituut have prepared this exhibition in close collaboration. The Gemeentemuseum possesses a De Stijl collection, and the archives at Het Nieuwe Instituut include, for example, original design drawings and architectural models produced by Theo van Doesburg, J.J.P. Oud, Jan Wils, Cornelis van Eesteren, Gerrit Rietveld and Vilmos Huszár. Architecture and interiors. The desire for Style is made possible thanks to the municipality The Hague, Van Eesteren-Fluck & Van Lohuizen foundation and is part of the Mondrian to Dutch Design Year.